Our house has a lot of brass. 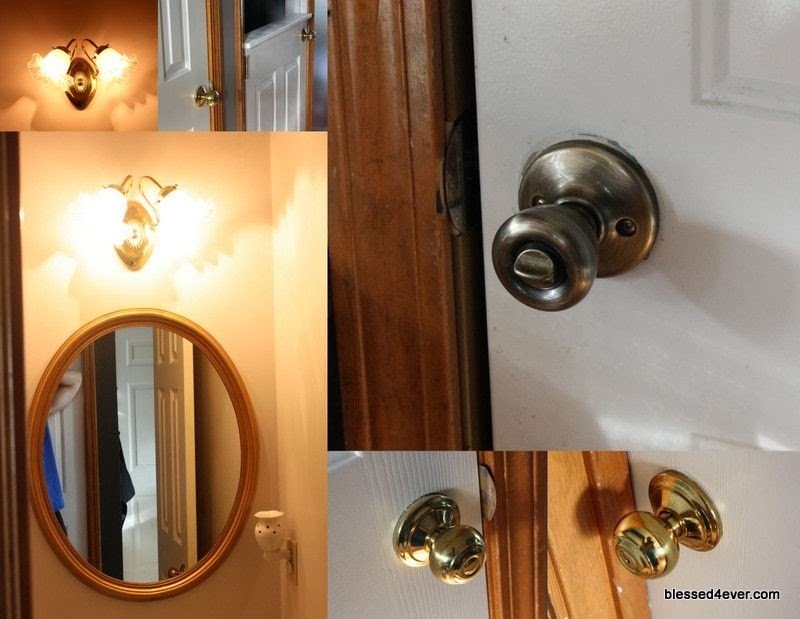 Brass doorknobs mirrors, light fixtures, and switch plates. Oh yeah, we also hate brass. Hate it. So we did what any homeowner would do in our situation. We spray painted! We started out with a plan to do the door knobs and it quickly escalated into the bathroom mirror and light fixture. I was then walking down the hallway and noticed our brass light cover and that got added to the party as well. We chose to use Rust-oleum’s Oil Rubbed Bronze spray paint for this project. It’s a 2-in-1 primer/paint and it is an amazing product to work with. It coats well, doesn’t run, and dries to the touch in 30 minutes. It also allows a second coat in 1 hour. It’s a little in the pricey side at almost $8 dollars a can but it sure beats having to purchase all new knobs! 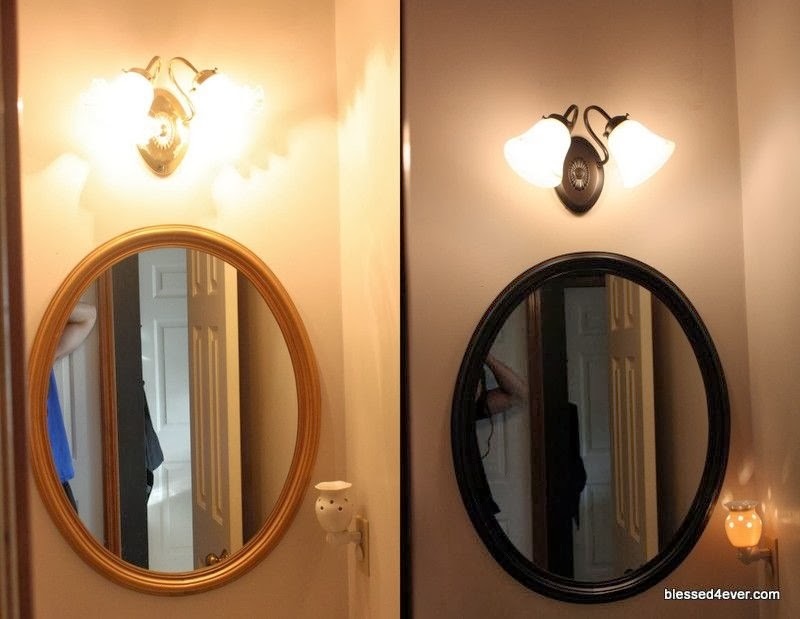 I think the biggest transformation came with the light fixture. Not only did we get rid of the hideous brass color but we also replaced the the flowered shades and installed some brighter bulbs. Huge difference!